We launched Revolution Running Bellingham with a pilot program. 5 participants and 4 coaches enjoyed training together through the Pacific NW winter months. We met Wednesday evenings for track workouts and Saturday mornings for long trail runs. All participants followed the online training plan put together by head coach Krissy Moehl, author of Running Your First Ultra. Each has been very vocal in their appreciation and support of Revolution Running and I asked them to write their feedback for future participants. Hopefully their thoughts (below) help encourage you to give Revolution Running Bellingham a try! 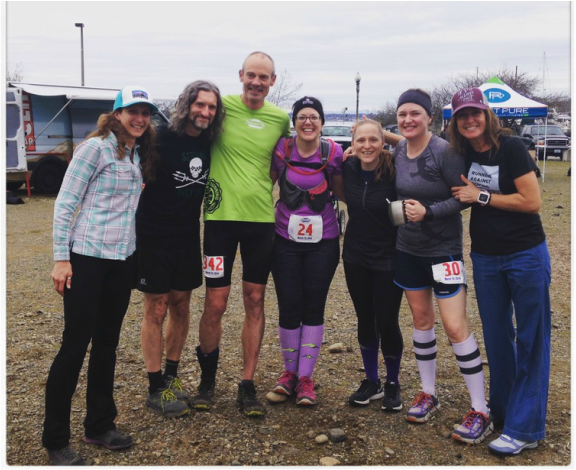 Thanks to training with this group for the Chuckanut 50k I felt prepared and confident for my first 50k and it was a huge success! The race was fun and I felt great. During training, I learned how to do track workouts and hill repeats for the first time, and I definitely became a stronger runner as a result. I expanded my knowledge of local trail systems during our Saturday runs. I got so much group encouragement during tough training sections like back to back long run weekends and those cold winter nights when we showed up in headlamps for repeats. I learned about more than just running… nutrition, fueling on runs, recovery, mechanics & form, and self-care. Even though it was group training, I got individual advice and tips, too. The whole experience exceeded my expectations. And all from a rad group of talented coaches who made it fun. You can count me in for the summer group! What can I say, lot's, but I'll try not to be to long. I don't think I would have been able to finish the Chuckanut 50 without the training I got with the Revolution run Bellingham group. Krissy, Monica, Mark and Dan are the best! Where else could you go and get coached by a professional ultra runner and record holder, her pacer and ultra runner herself, a state champion high school cross-country coach and super awesome fast runner, and one extreme trail building and ultra running crazy man. They had us doing runs I never would have done on my own, or even have thought to do, and gave me the motivation to get out and do them! Plus they made them fun, which made me want to do more. By the end our little group became like family and we all finished the 50k and still try to run together at times. I highly recommend, give two thumbs up, and five gold stars to bellingham Revolution Running Club. ​Thanks for helping me accomplish my goal! I am so thankful to have found Revolution Running! I had no idea how to train for an ultra, but the coaches shared their wisdom and knowledge and gave me direction each step of the way. I learned fueling, how to do speed work, and how to run more confidently on trails. The group runs were always fun, whether they were long runs or track workouts. 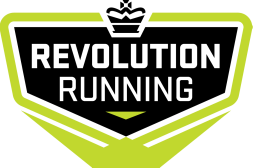 I cannot recommend Revolution Running enough. If you are training for any sort of distance event, no matter how fast or slow you run, this program will get you to the finish line. Running the Chuckanut 50K was a "goal" my friend and I joked about that seemed impossible to actually accomplish. I never would have followed through were it not for Krissy and Revolution Running. I have learned so much about understanding what my body wants and needs, the difference between the two, and how far I can push myself. I can't say enough good things about the program and I would highly encourage anyone interested to take the leap and sign up!